Danielle S.’s review of Mermaid Alexandra - Mermaid Aleexandria is a Rockstar! 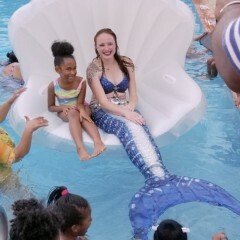 Mermaid Aleexandria is a Rockstar! Thank you for a great event! Thank you for being so kind and patient! The teaching and information you provide during your visit was simply amazing.. the girls had lots of questions and you patiently answered them all! Thank you for making my daughters 7th birthday magical! Thank you for your great review! I had such a blast with everyone and you all were so sweet! You did an amazing job throwing this birthday party for her!